As a self-confessed AR tragic, it’s amazing that it has taken me five editions of Wildside to finally make it down to this event. The Wildside format has jumped from anywhere between a 24 hour race to an expedition race. This year’s race finally settled on a 50 hour version and doubled as the final race in the Adventure1 national series. The big carrot on the stick was a chance to move from third to second overall in the Adventure1 rankings if we could place above 2017 national champions team Thunderbolt – no small task. It’s been a cast of thousands on the Rogue team line up this year. The core team is made up of myself along with the McLachlan’s and the Delaney’s. We’ve been joined by someone new almost every race, and at Wildside it was to be QLD veteran (if he doesn’t mind me using the term) Gary Sutherland. Gary was joining us off the back of an appendectomy a day out from Hells Bells. He expressed concern about his relative fitness going in, but I knew he had experience in spades which would make all the difference. This proved to be the case: indeed you can read Gary’s recap on the race here which gives a great wrap on how the race played out for us. Better yet, check out Dan’s video from the race below – it saves me giving a run down on the race, and instead I can share some more random thoughts on highlights from the race and the year that was. A big part of the success of the team this year was having a deep roster that we could rotate through races. 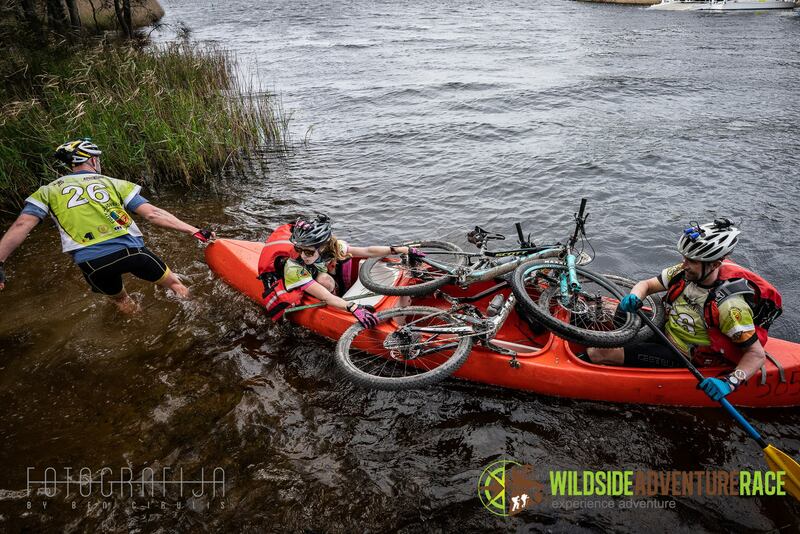 One of these races on it’s own is a massive commitment in time, money and effort and there is a reason that the adage “making it to the start line is the hardest part” has become so stereotypical within adventure racing. Just look at the fate of team Wild Earth Tiger Adventure as a case in point. I feel extremely lucky to race with such a great bunch of athletes and friends throughout the season who all bring their own strengths to the team. A big congratulations to all the teams and racers that made it to the finish line of every race. 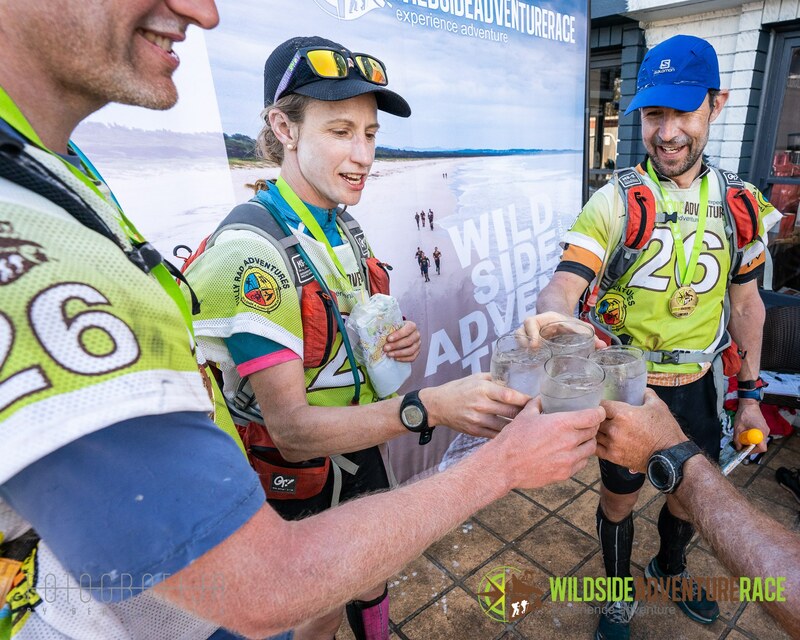 Our win at Wildside meant Gary Sutherland joined Rob Preston, Dave Schloss and Tim Boote with 2 individual wins this season, only to be eclipsed by Kathryn Preston with 3 wins. Team Thunderbolt should also be acknowledged, managing to cross the line second in every race this year (time adjustments not withstanding), and it’s fair to say luck didn’t necessarily go their way this time around. 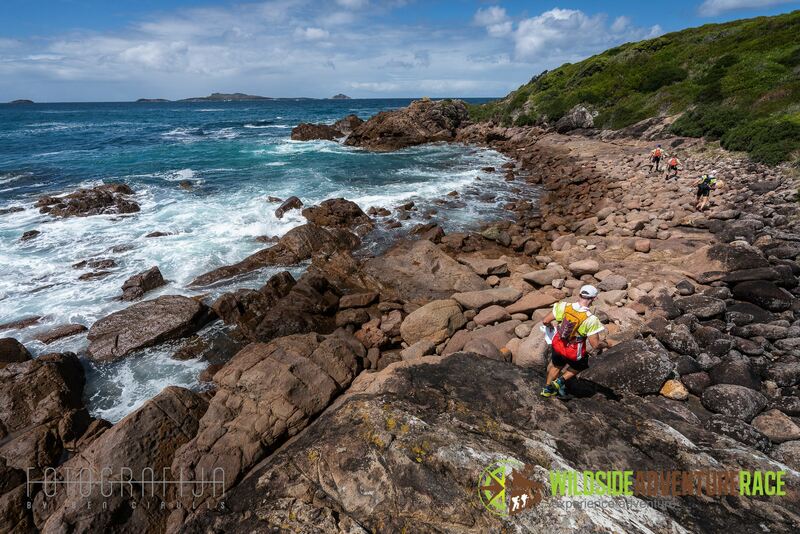 Racing with such an experienced crew, I went in to Wildside with the aim of trying to hand off some of the navigation duties and just “enjoy” the racing – something that I generally find hard to do. In the end this worked out really well with everyone on the team having a crack with the maps at some stage during the race. It meant that when someone was tired they could hand over the duties and there was always an extra pair of eyes to step in when a tricky decision was required. 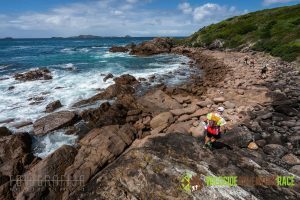 Many of the CP placements and CP descriptions throughout the race were pretty vague and it never felt like we had the race won until the last hour of the race (race maps can be found here and tracking here). When talking about race highlights, it would be remiss not to give a shout out to the photography of Ben Cirulis (check out his Fotografija page here). Ben is a racer himself, typically lining up with the BMX Bandits and obviously has a knack of getting into just the right spot to capture the amazing moments of racing that are normally shared just within the team. How he also often manages to capture these photos while racing himself is a unique skill set (note that all photos linked here are by Ben). As for the course itself, the paddling was the real show-piece. 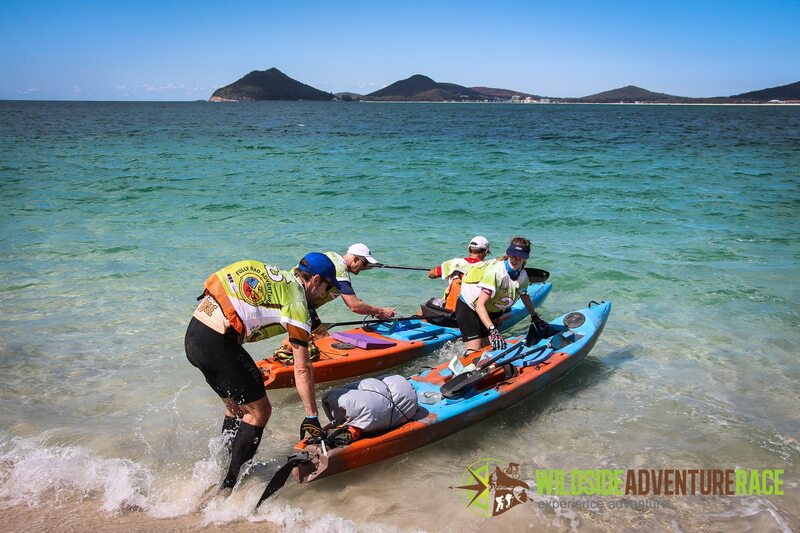 The first kayak leg, originally advertised at 35km, stretched out to 41km with a long out and back to Bundabah. But this was made up for by an abundance of wildlife including sting rays, turtles, a plethora of birds and bait fish, along with clear blue waters, testing conditions in the wind on the bay and more intricate navigation on the upper Myall River. Race director Richard Old should also be commended on going to the effort for including a canoe leg on Two Mile Lake. It proved a great variation on the paddling, although we weren’t too sad to find the paddle was only 9km upon arrival at the stage and not 20km as originally advertised. On reflecting upon our race, I can’t work out if were blessed with really good luck or really bad luck. I don’t think I’ve had so many mechanical issues during a race (hence the bad luck), but none of these were race ending or cost us our hard earned lead (hence the good luck). All told we had a broken rudder, broken map board, broken bike chain and two flat tyres. 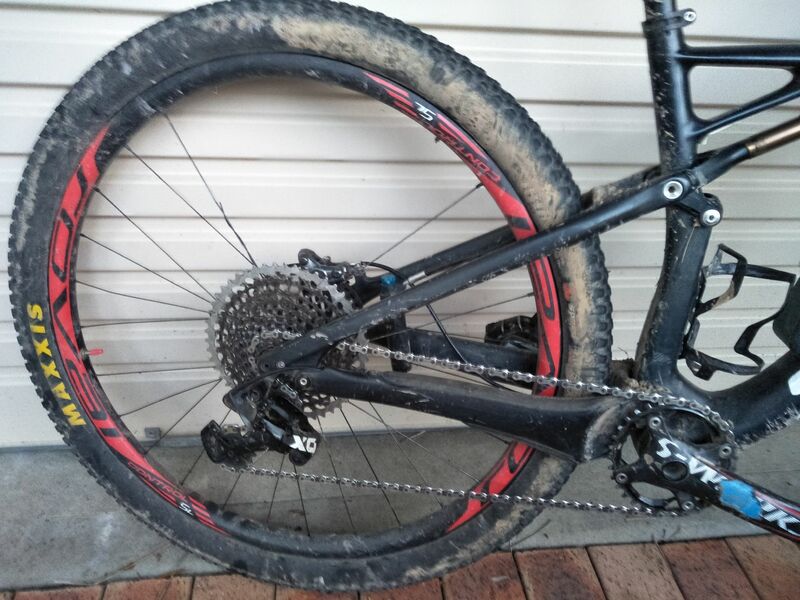 Perhaps most significantly, Gary put a large stick through his rear wheel, ripping out nearly a quarter of his spokes early into the long stage 6 bike ride. The result could almost have been race ending, but he managed to nurse the bike through to the finish line. 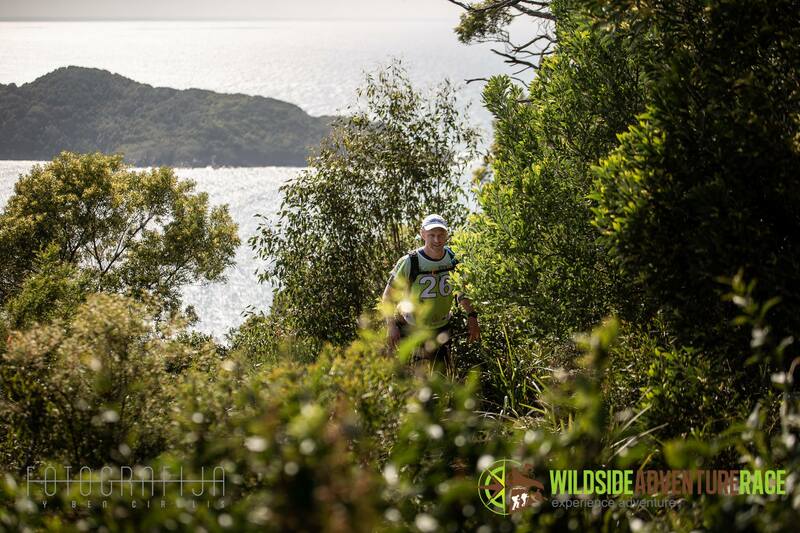 Wildside brings to close what has been quite a long season this year for me personally. 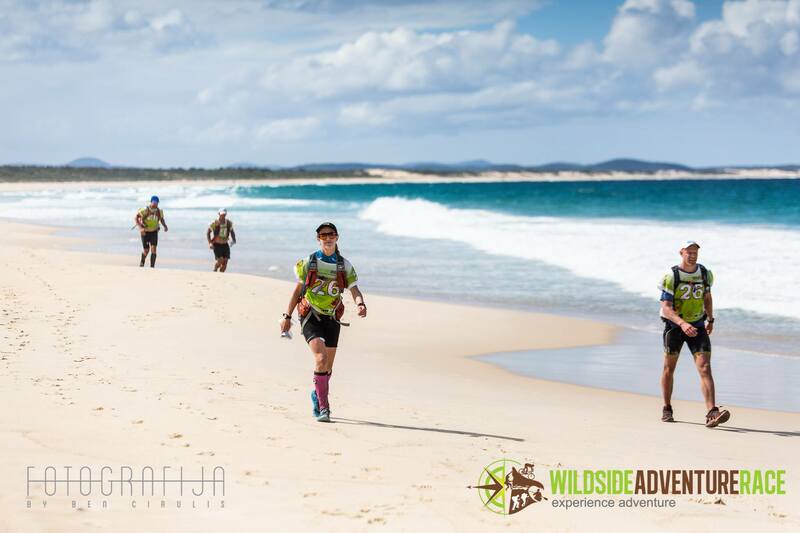 Kicking off with X-Marathon down at the Snowy River, other race highlights have included GODZone, Hells Bells, the Mojo Raid, the QLD 12hr Rogaine Champs, Wildside and a few shorter events. For me, the measure of good race performance is not necessarily a top result but how I’ve been able to contribute to the team. At the 12hr rogaine champs we didn’t get the win but I felt strong all race and navigated well which as much as I can ask for. GODZone racing with team CBRAR also went well, but in the A1 races this year it felt like at times that the best contribution I could make was to just keep moving forward and limit how much I was slowing the team. I’ve had some really rough moments in races this year, but always felt supported by the team. I love how everyone is hungry to compete at the front on this team, and it’s great to have team mates that motivate me to get stronger and race harder. I think with our results this year we now have the belief that we are no longer necessarily the under dogs going in to one of these races and can mix it up at the front. No doubt, it won’t be long before we turn our eyes to 2019. 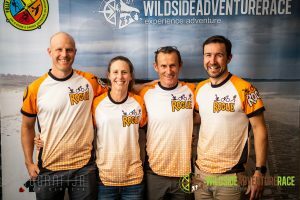 The team is going to kick off with racing at Adventure Junkie’s 36hr Alpine Quest in January, and we’ll have a team entered at the Raid 100. Just in my line of sight I have the maps from the most remote trek leg of the Raid 100 laid out: three A3 1:25,000 topo maps stitched together. I’m planning a course scouting trip in late October to vet this leg and I have to admit it looks pretty intimidating on paper: it covers some pretty remote and rugged terrain that promises to be pretty spectacular. I can’t imagine the feeling of trepidation racers will experience when they finally have these maps in their hands in April next year. 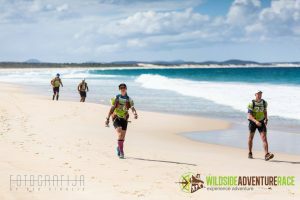 They will have one advantage though – they’ll be tackling the course with their team mates by their side which will make the adventure all the better.